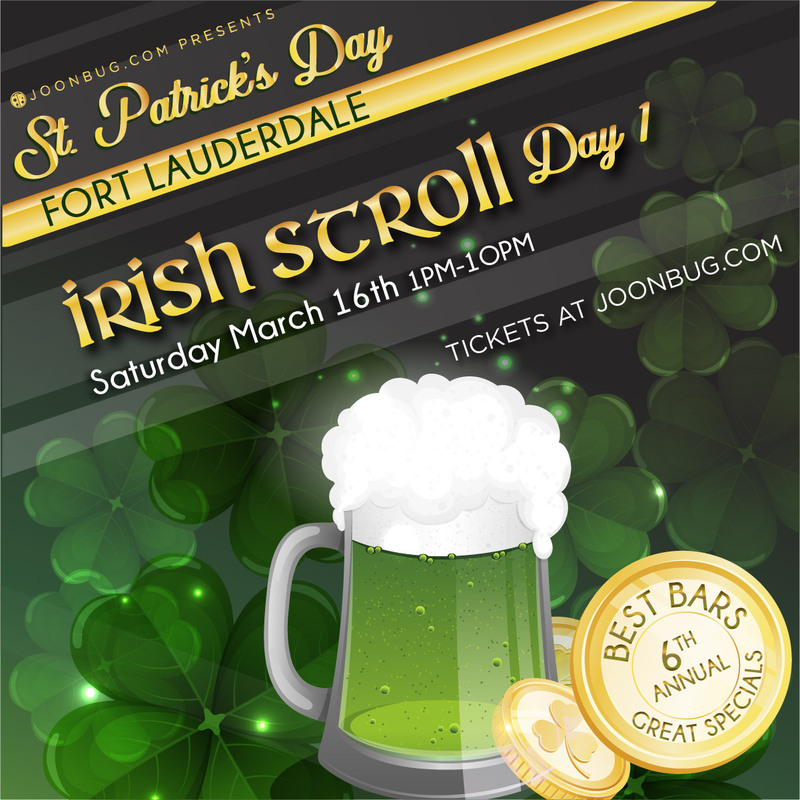 St. Patrick’s Day is back and that means that it’s time for another Irish Stroll bar crawl in Ft. Lauderdale. Day One of the Irish Stroll starts on Saturday March 16th as part of a weekend-long St. Patrick’s Day affair with several events to ring in the Celtic holiday. Count your lucky clovers because an Irish Stroll wristband means you get in to all of your favorite bars cover free on Saturday. Every one of your favorite places will have exclusive drink specials, which makes the day even luckier for you and your friends. Pints of golden brew and happy company dressed in green take the Irish Stroll to the next level. Tickets are on sale now – we hope to see you there, Ft. Lauderdale! Head over to the registration site from 1pm to 8pm and pick up your wristband and map that guides you through the venues. If you’re traveling with a crew, a group discount for groups over four are available to you. Taking advantage of the whole weekend of festivities is a guaranteed good time, which is why we’re offering multi-day passes for non-stop celebration.